Lab Supply is proud to provide our clients with top quality animal bedding supplies from Shepherd Specialty Papers. 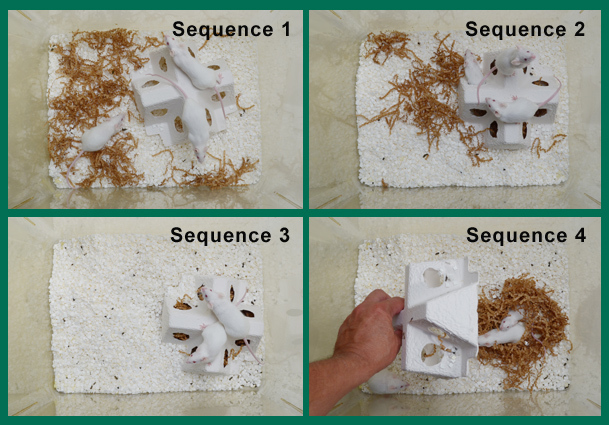 Enviro-dri is a bedding for rodents that is specially designed to enhance the nest building activity among rodents. This bedding is great for rodents because it eliminates dust that other bedding has. This can lead to better respiratory health and overall better health among rodents. Enviro-dri comes in either natural color or white. If you are interested in Enviro-dri, please click here to view the product page. Here at Lab Supply, we are committed to making sure you find exactly what you are looking for. If you have any questions, then please click here to visit our contact us page. We will be more than happy to answer any questions you may have.